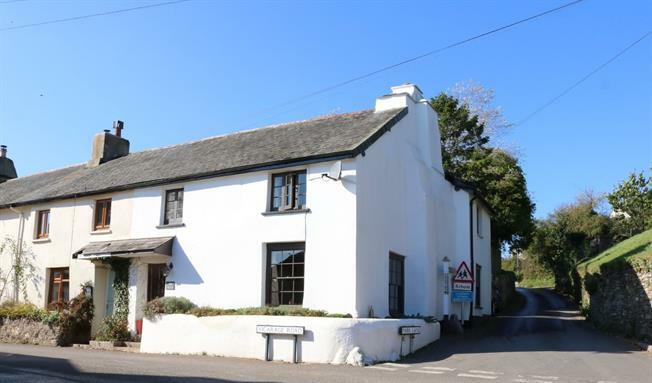 3 Bedroom End of Terrace Cottage For Sale in Totnes for Offers Over £375,000. An attractive period cottage, full of character, located in the centre of the popular village of Blackawton. The ground floor comprises Hall with doors off to the Living Room (with multi fuel burner), Dining Room, Kitchen, Utility and WC. Stairs rise to the first floor landing off which are three bedrooms and the Bathroom with bath and separate shower. Outside there is a gorgeous well stocked and safely enclosed garden with decked area and wooden outbuilding. Entrance via steps from the rear garden to the Studio, recently installed over the Garage, which has a Wet Room off.